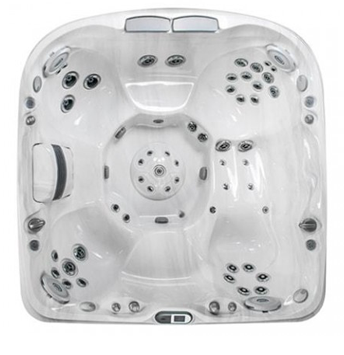 The J-495IP™ is an 8 person hot tub featuring 62 PowerPro® jets, and is the largest hot tub of the Premium line; it’s roomy, ergonomic and offers extraordinary hydromassage qualities. 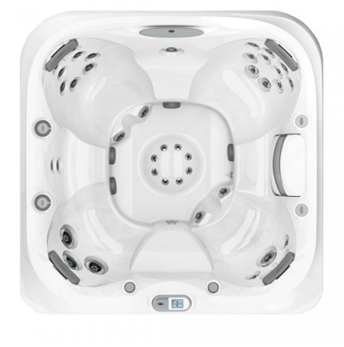 It’s the only Jacuzzi® spa available with three pumps that give it the power required to provide each seat with a customisable hydromassage. There are several waterfalls and controls on the spa deck to adjust the airflow, the quantity of air, its intensity and the direction of each single jet. The J-495IP™ is provided with the ProClarity™ filtering system, ClearRay™ technology, stereo system and a light that indicates its operating mode. Moreover, the SmartSeal™ coating prevents dispersions, protects the spa and promotes energy savings. 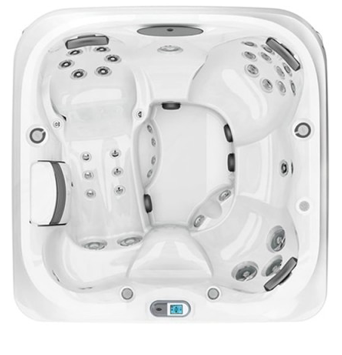 Packed with plenty of premium PowerPro®Jets, this model includes 11 robust RX Jets for your back and a breathtaking illuminated IX Jet in the foot dome. In addition to dual neck and shoulder-soothing waterfalls, the J-495™ also features LED lighting in the logo, pillows and cup holders. 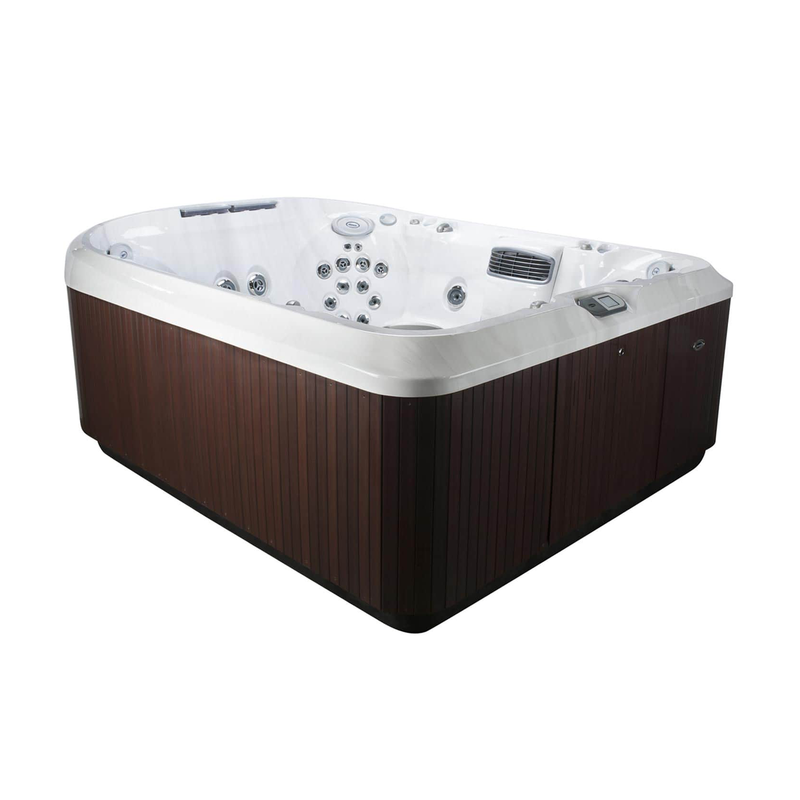 This 8 person hot tub really makes your hot tub experience one of complete luxury and relaxation. Side-by-side massage jets for two deliver deep tissue and high-performance back coverage. Easily move freely from seat to seat. 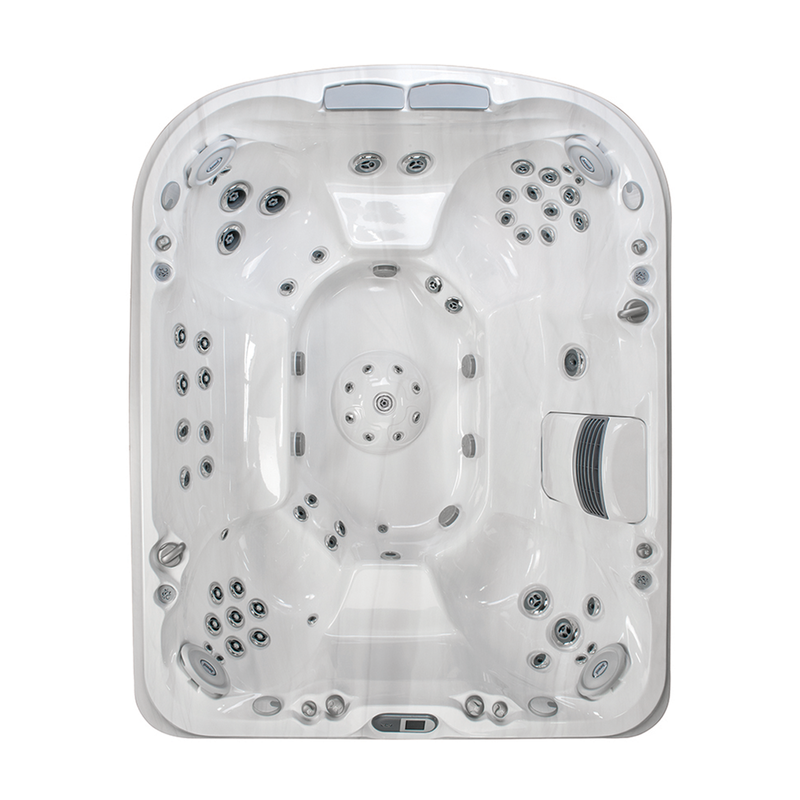 Boasts the highest-performance hydromassage plus Swedish back coverage coupled with four calf jets ease aches and strain. This deeply contoured seat delivers a bold neck and back massage to relieve tension while utilising hydromassage technology. Deep, adjustable pressure that relieves the back and neck muscles, while targeting tension in your calves and feet.